Bangkok (Thailand) – September 25, 2018 (travelindex.com) – Anantara Hotels and Resorts, the indigenous experience led luxury hotel brand, will roll out a global ban on the use of single-use plastic straws at every property worldwide by 1st October 2018. 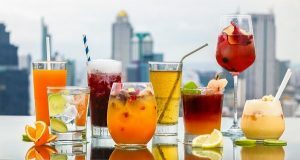 Since January of this year, when Anantara was the first major hotel brand to announce its decision to eradicate plastic straws at every single property across the Asia region, Anantara has been working hard to roll out the ban to properties in Australasia, Europe and the Middle East. The decision to ban plastic straws is just one more step in Anantara’s ongoing journey as a leading luxury sustainable tourism brand. In April of this year, Anantara took the decision to replace the packaging of all dry amenities with compostable paper and plastic toothbrushes have been replaced with a biodegradable straw alternative. For years, locally sourced toiletries such as shampoo, have been provided in larger ceramic pumps to reduce the amount of packaging and waste created by individual mini servings. This alone prevents an estimated 4.16 million plastic bottles from ending up in landfills around the world annually. Plastic water bottles are the next ubiquitous item earmarked for total abolition across the Anantara portfolio. All plastic water bottles will be banned from rooms and gyms to be replaced with recyclable glass or refillable alternatives as a brand standard by the end of 2018. Until then, guests will increasingly notice an absence of plastic from all outlets and facilities in the Anantara Hotels, Resorts & Spas they frequent. The sumptuous restaurants for which Anantara is renowned will soon be managed without any plastic front of house; from the condiments on tables to the wicker baskets housing the freshly baked pastries at breakfast. Even around the grounds guests will notice that team members use bamboo baskets to collect compostable gardening trimmings instead of plastic sacks. As a leading experiential luxury brand, guests are offered the chance to positively give back to the community framework of the destination they visit. Whether it be releasing rescued turtles at Anantara Mai Khao Phuket, planting restored coral at the nurseries off of Anantara Dhigu Villas in the Maldives or working with local AIDs survivors to generate sustainable income by providing Anantara Royal Livingstone with locally farmed mushrooms. Since 2014, Anantara guests have been invited through the Dollars for Deeds Program to donate 1 dollar for every night of their stay, which Anantara then matches. These charitable donations are then distributed to several of the foundations that Anantara Hotels support, including the Mai Khao Marine Turtle Foundation established since 2002 and the Golden Triangle Asian Elephant Foundation, since 2006. To read more about the charitable initiatives supported by Anantara Hotels Resorts & Spas, please visit the Social Responsibility page of the website. Minor Hotels is an international hotel owner, operator and investor currently with 160 hotels in operation. Minor Hotels passionately explores new possibilities in hospitality with a diverse portfolio highlighted by our proprietary Anantara, AVANI, Oaks, Elewana and Tivoli brands – as well as Four Seasons, St. Regis and Marriott properties and the Anantara Vacation Club shared ownership programme. Minor Hotels operates in 26 countries across Asia Pacific, the Middle East, Africa, the Indian Ocean, Europe and South America. With dynamic plans to expand existing brands and explore strategic acquisitions throughout opportunistic markets, Minor Hotels pursues a vision of a more passionate and interconnected world. To book your Anantara, Avani, NH Hoteles and Tivoli Hotel around the world at best rates available. Pay at the hotel. Book now at HotelWorlds.com!